Preschoolers love to play and explore. It’s how they learn! 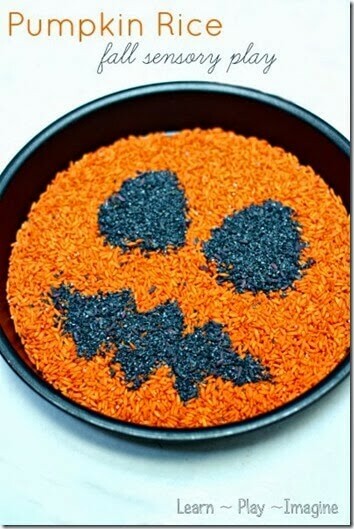 Here is a fun way for kids to explore using their senses with a fun fall kids activity – Scented Pumpkin Rice from Learn Play Imagine. Pumpkin Cloud Dough – play & eat!